and find yourself stepping onto an ancient winding path in the English countryside on the outskirts of the village of Alkborough in North Lincolnshire, England. 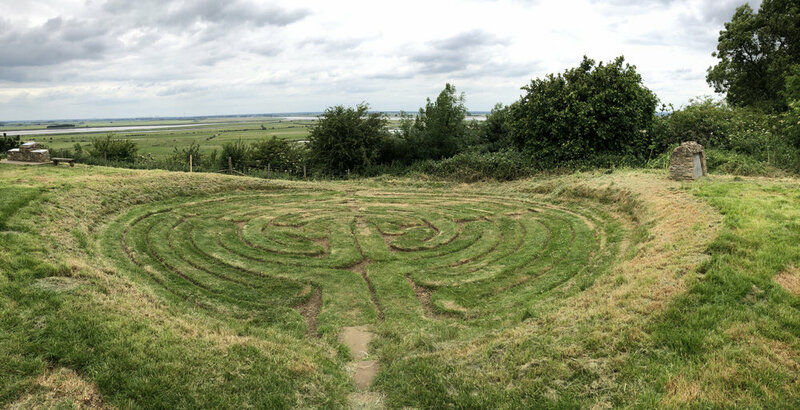 This beautiful turf maze (as these labyrinths are called in England) is one of eight of the few surviving turf mazes still to be found in the English countryside. 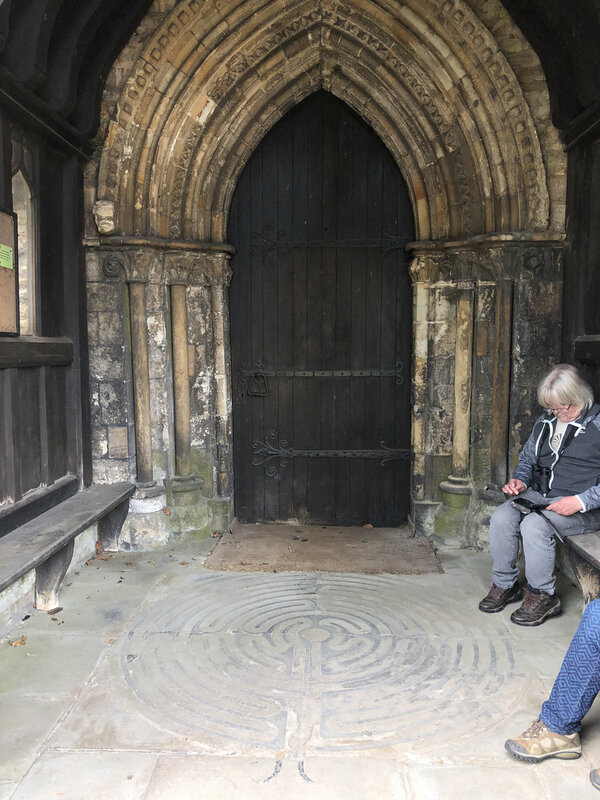 Loved dearly and maintained by the nearby village, this labyrinth adorns signs and the entrance of the town church (installed in 1887) so the design will never be forgotten. There is also a beautiful little stain-glass replica of the labyrinth inside the church (installed in 1922) that we were unable to see that day because it was closed. The turf maze also provides the perfect setting for a picnic! Labyrinth historian, Jeff Saward of Labyrinthos, relayed to me that the actual creation of this turf maze is unknown, but the first written record dates to the late 17th century. I've walked older stone-paved labyrinths, but to find my way through this one cut deeply into the ground from centuries of maintenance was quite an unforgettable experience. You may notice the dry patches of grass. These photos were taken on June 15, 2018. The areas we traveled through in both England and Scotland were experiencing an unusual absence of rainfall resulting in the loss of the lush green countryside that is usual for this time of year.